*Registered Representatives offer securities through Securities America Inc. Member FINRA/SIPC. 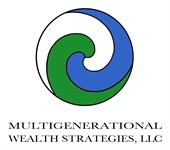 Financial Advisors offer Advisory Services through Securities America Advisors Inc. Multigenerational Wealth Strategies, LLC and Securities America are unaffiliated.